When discussing greenhouse gas emissions, we often focus only on the main culprits such as cars or planes. What we forget to consider is that approximately 40% of primary energy consumption is from buildings alone. 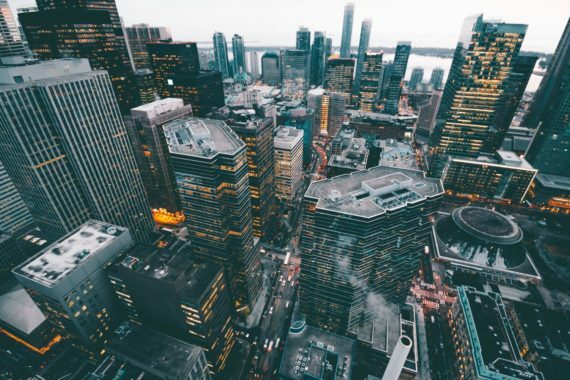 And as the world becomes increasingly urban, with more than half of the world’s population already living in cities, it’s more important than ever to rethink the way our buildings are designed and operated. simuwatt, a Colorado-based startup, is providing it's new platform, buildee, for commercial buildings to monitor and manage their energy consumption, making them more efficient throughout their entire lifecycle. From HVAC systems to lighting, the company addresses every facet of the building that affects the energy efficiency. Their software collects and analyzes data on thousands of buildings across NYC and several other cities, states, and campus environments to help the owners take action. The startup is part of the UFL/ACRE incubator and the 3rd IN2 (Wells Fargo/NREL Incubator) cohort and was also the awardee of the 2018 Urban Future Competition. We spoke with Oliver Davis, co-founder and CEO of simuwatt, to find out more about the platform and the opportunities they see ahead of them. Having already received funding through a myriad of investors, Oliver tells us the company is looking forward to “starting a Series A round to fund growth, deliver on beachhead clients and complete our product offering.” We dive into simuwatt’s potential in our conversation below. How did the concept for simuwatt originate? What was the inspiration that got you and your co-founders going? simuwatt’s roots and original concept began from an engagement with the National Renewable Energy Laboratory (NREL). We collaborated with NREL on the development of several key products including: energy auditors, data libraries, energy modeling and other capabilities. After several years of product prototyping and market analysis we decided to form simuwatt Inc.
Tell us a little bit about the technology you’re offering. Why are you personally passionate about energy efficiency? simuwatt offers technology that allows anyone touching a building’s facility to quickly identify and act on energy efficiency opportunities with credible data. We do this through mobile and cloud computing along with advanced machine learning tools such as energy modeling. Our aim is to make complex energy efficiency data collection and analysis available to the masses at a low cost. I’ve been in technology for the bulk of my career, simuwatt offers societal value on a macro and local scale. Each building that is retrofitted using our technology reduces our carbon footprint leading to improved health for all. When billions of square feet are impacted, the result is something we can all hang our hats on. Can you talk a little bit about the possibilities you see for the future of simuwatt? Where do you see the most need for Energy Auditor? simuwatt is more than energy auditing software. simuwatt is a flexible platform that provides portfolio-level energy efficiency benchmarking, mobile data collection tools for lightweight or deep audits, rapid energy analysis and modeling, energy modeling, a data library with thousands of energy measure calculations and building products. We see simuwatt living with the building through its lifecycle from benchmarking through measurement and verification. One constant with energy efficiency is that there is always opportunity whether through retrofits or tuning systems. Our vision is a platform that constantly informs owners and service providers with bankable data that leads to the most efficient buildings possible. The EE market is fragmented and historically dominated by large companies and their closed, expensive practices. The industry is also slow to adopt new technologies and each segment of the market has distinct needs. We can’t be everything to everyone, yet simuwatt is designed to enable a broad market while supporting the incumbents in doing their jobs faster with greater accuracy. We are fortunate to work with several great companies who have realized this value and simuwatt is putting more money in their pockets while providing higher customer satisfaction and quality. The market is so big, the key is focusing on the greatest need both short and long term. We see great interest in the utility market as well as with the large property owners and managers (including municipalities). Our success is dependent on adoption across service providers, utilities and facilities management. This article was originally published on CleanTechnica. The interview was conducted by Erika Clugston.